The month-long blog tour arranged by my publisher, Fiery Seas, has yielded a wonderful, thoughtful review of my novel The Renaissance Club. I’m very pleased at today’s review on the book blog, What Cathy Read Next. 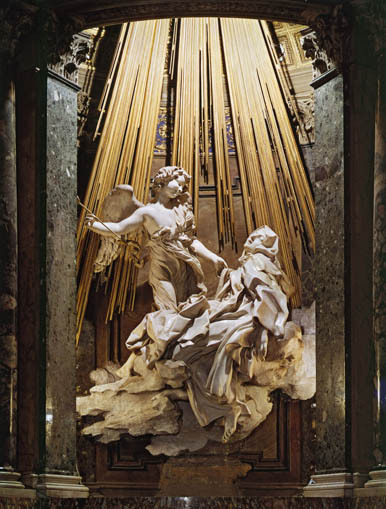 This sensitive reviewer has visited some of the places in the book — Rome and Venice — and seen some of Bernini’s art. One of my favorite paragraphs in the review connects my writing as a poet with descriptions of the carnival of beauty that is Italian Renaissance art. 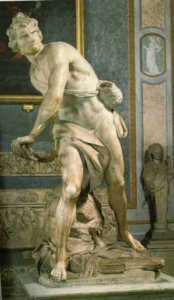 What’s so great about Italy, and why did I spend many years of my life writing about it, culiminating in my novel The Renaissance Club, which features Italian sculptor Gianlorenzo Bernini? Good questions. What I keep coming up with is that Italy is Bernini, and Bernini, Italy. I mean the place is full of gorgeous, sumptuous, emotionally moving art. It’s a place so full of art you start to take it for granted that you’ll turn a corner and see some gorgeous sculptural fountain or fantastically beautiful church. 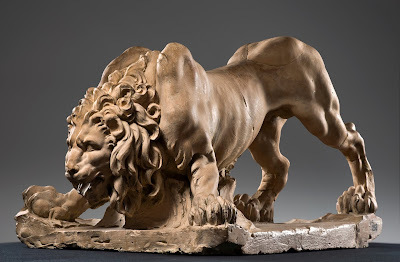 And Italian Renaissance and Baroque art packs a wallop that can stop you in your tracks. Below are some of the reasons to visit Italy — five fantastic, life-size Bernini sculptures. You can only get a small idea seeing a photo, because these life-size, or even bigger, statues are like people who walk into the room, naked physically and emotionally. This one, for example, is life size, and not much elevated above the viewer’s plane. It’s in the Villa Borghese in Rome. A really startling thing about this one, is it is like meeting Bernini–he used his own face for the David. Probably the expression he often wore while chiseling on marble! This contr-apposto pose, with the body twisting on itself, is something Bernini pushed to the limits. His figures move like actors on a stage. It was something really new, probably shocking, and certainly moves us looking at them. 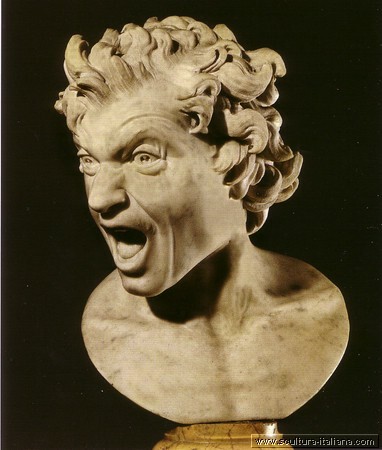 And here’s Bernini again, wearing a somewhat different expression in this bust of A Damned Soul. The sculptures are very much in motion, with lots of curving planes and lines. Italy is so full of these curvilinear forms, in buildings, fountains, sculptures everywhere, and choice of subjects of art, that you begin to feel like you’re in a boat, riding somewhere, bouncing up and down, side to side, on the waves. 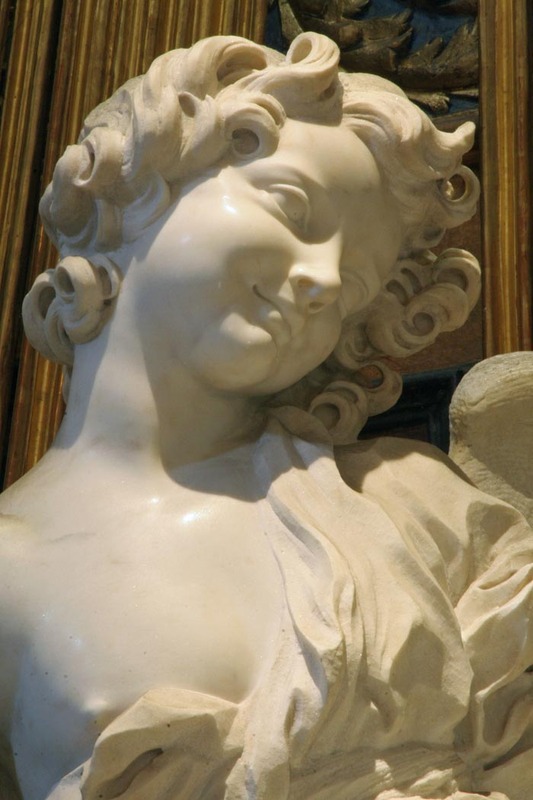 When I came home to my Northern California suburb, I really missed the waves, the romance, and of course Bernini. His massive scultpures don’t travel. Bernini everywhere in Rome,gave me such depth of feeling and passion as I’ve rarely seen in art. Ecstasy and torment—rarely anything blandly inbetween. So of course, I had to write a time-travel novel about him! I’d like to time travel and really meet this amazing genius. For 10 unforgettable reasons to visit Italy, click Lifehack’s list here. Really Venice and Bernini are enough reasons.